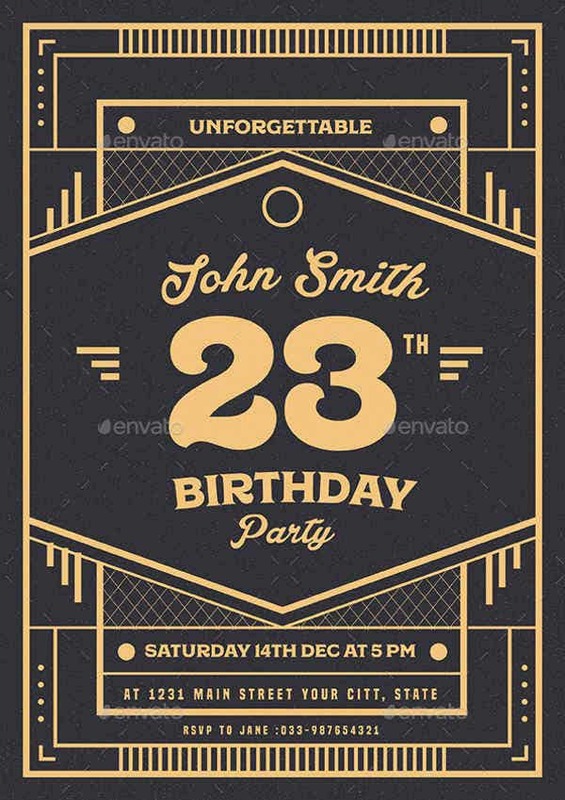 Whenever there is a birthday celebration, Birthday card Templates Examples are always a part of it. 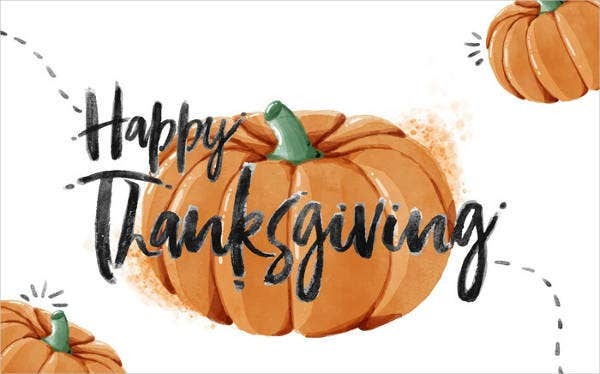 They are illustrated pieces of cards or high-quality papers featuring a greeting, birthday message, or other sentiments. 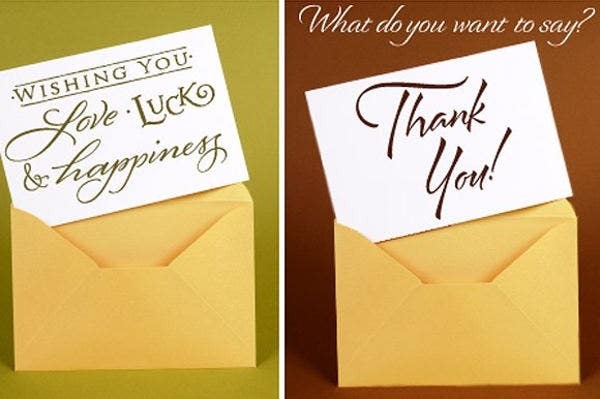 Although birthday cards are usually given on birthday occasions, they are also sent to convey other forms of messages, such as thankfulness, or express other feelings. 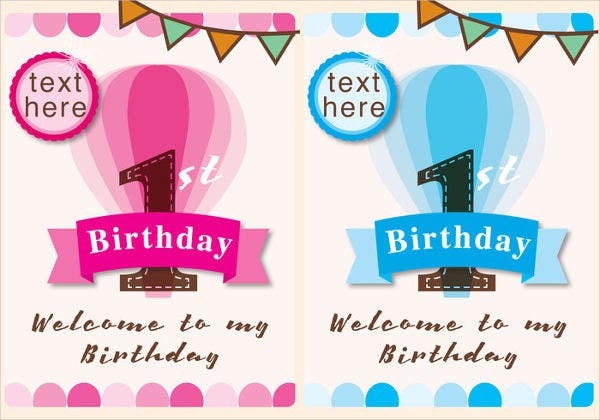 These type of cards are generally given to birthday celebrants; and birthday cards also come in various illustrations, styles, and forms. 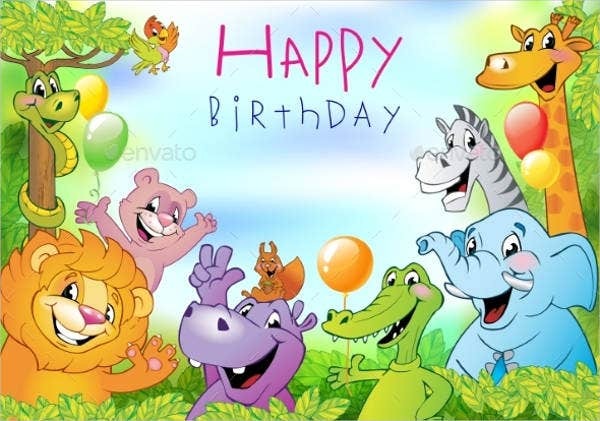 If you are looking for awesome birthday cards, then we have it all for you. 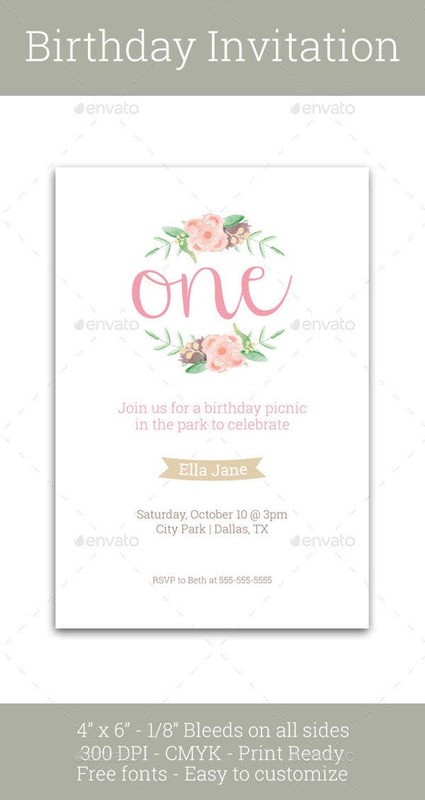 Birthday Invitation Card Designs are our specialty—you will love them for sure. 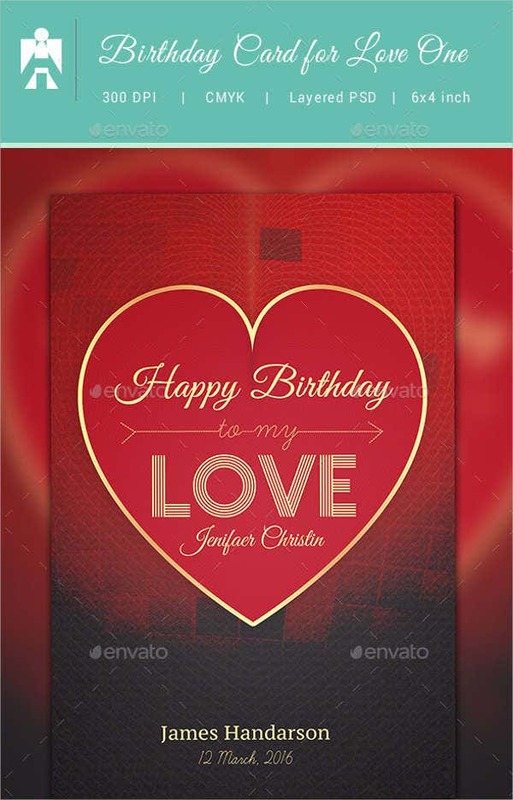 Check below for more birthday card templates and designs. 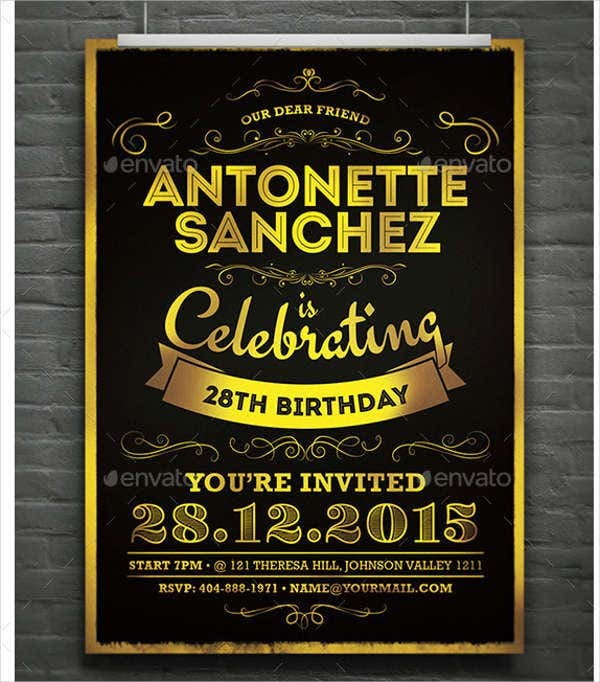 A Birthday Card Templates in PSD is a type of greeting card in general. This one is more specific to birthday celebrations alone, usually given to a birthday celebrant. 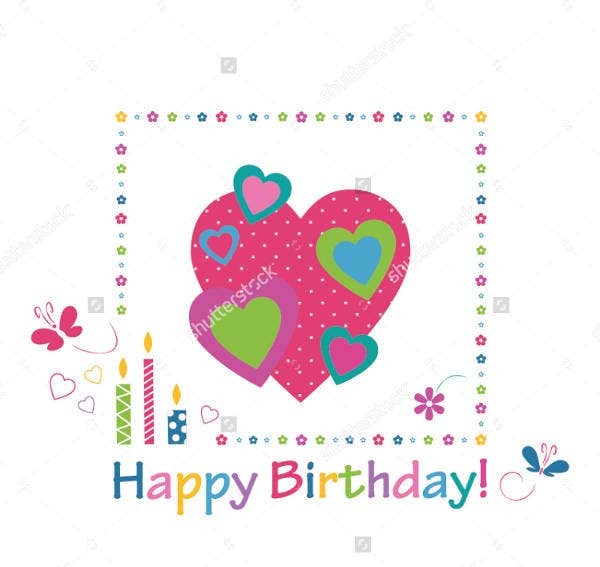 Now, let us get to know more about greeting cards as this includes birthday cards too—who invented them and when people started using them. The history of greeting cards dates back to the ancient Chinese who exchanged messages of generosity to celebrate the New Year and to early Egyptians who used papyrus scrolls to send greetings. The improvement in printing technology and automation besides the introduction of postage stamps in the 1850s helped to make greeting cards more affordable. No wonder, they soon became a popular means of personal communication. 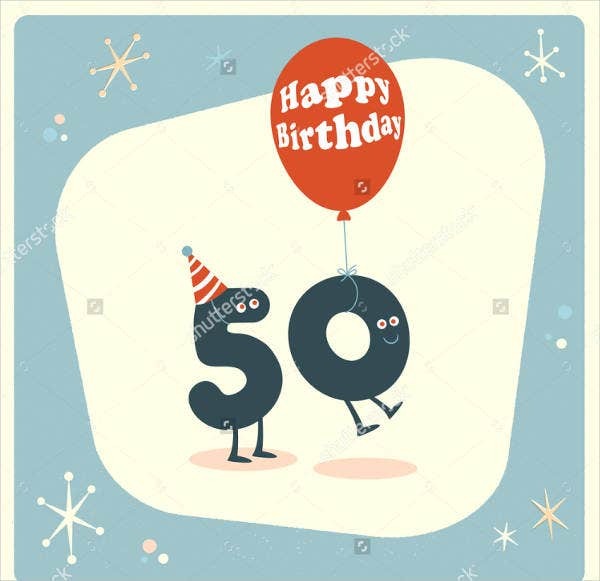 Anyhow, recognition for the start of the greeting card industry in the States is given to a German immigrant called Louis Prang who started a small lithographic business near Boston in 1856. The Funny Birthday Cards history is said to be over a hundred years old. 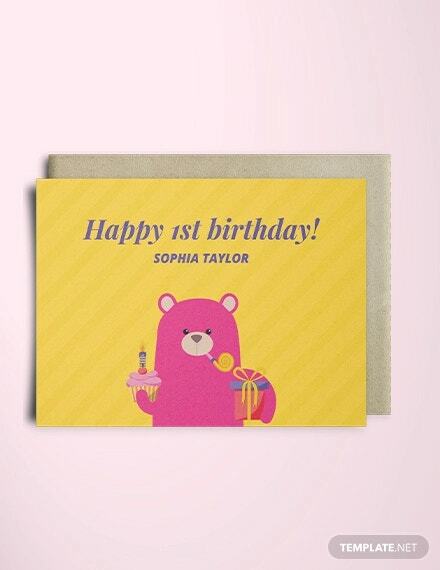 Though there is no proof or record to inform us who actually sent or received the very first birthday card, yet it is said that the tradition of sending birthday cards started in England a century ago. 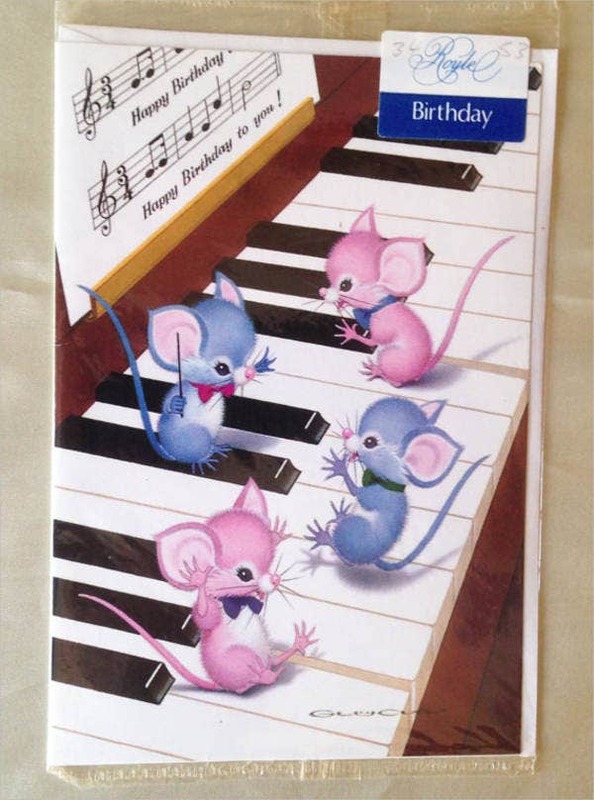 The birthday card’s history is said to be over a hundred years old. In that time, people used to personally greet a person on a birthday, but when unable to do so, a person usually sent a birthday card. In this manner, birthday cards were more like apology letters at that time. 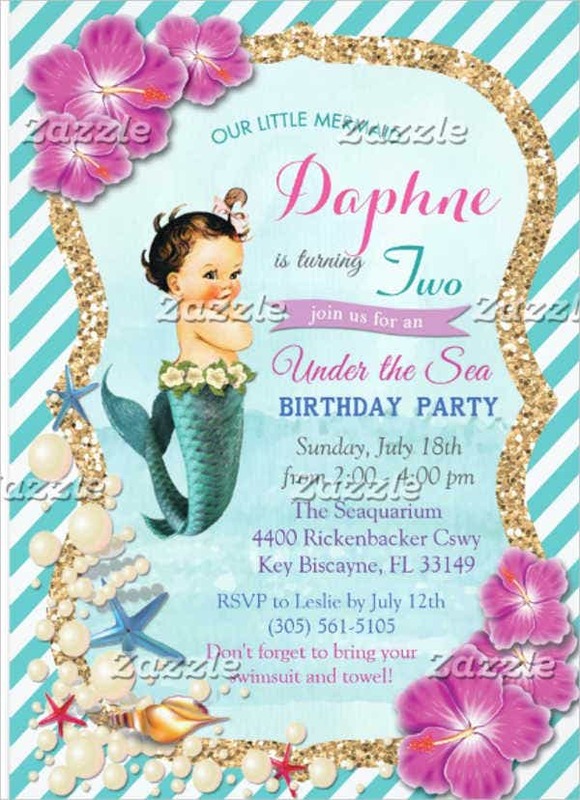 The significance of the Best Premium Birthday Card Design Templates is to express hope and kindliness to the person receiving the birthday card. 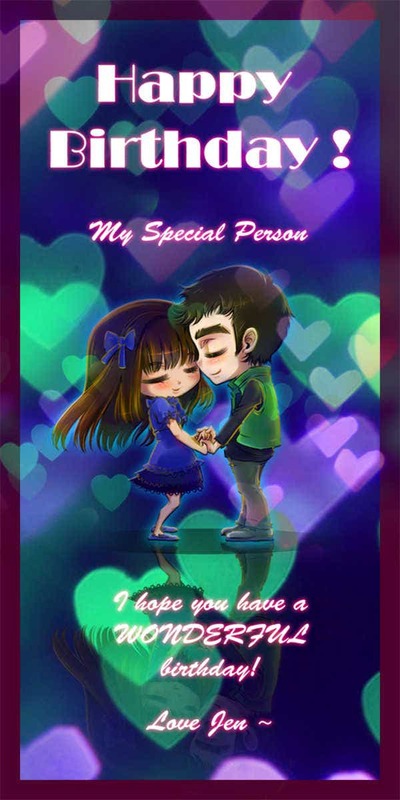 People nowadays use birthday cards as an approach in telling the special person of their true feelings that they may find a little difficult to express verbally. 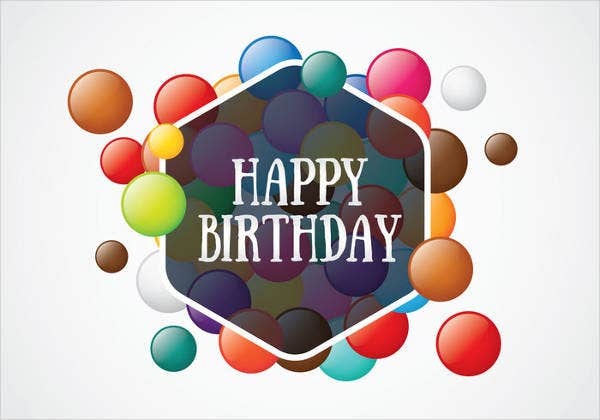 In the present day, there are numerous birthday card styles to select from, providing for almost every age variation, gender, and fondness. 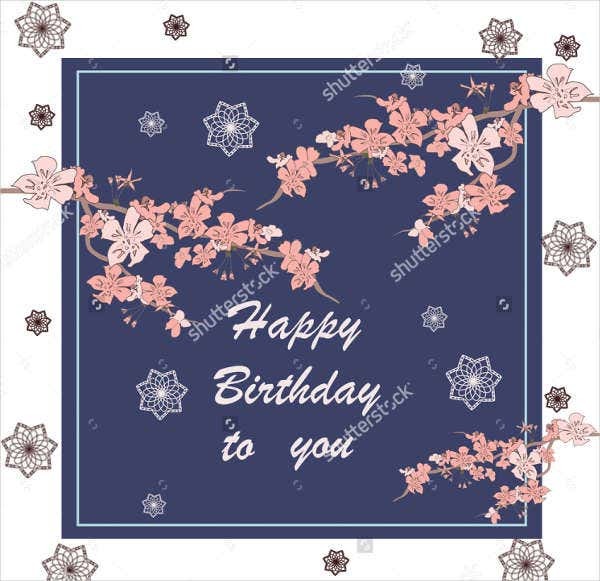 A lot of people want the card to convey how much they love the person for which they bought the birthday card or to wish them good luck in the coming year. 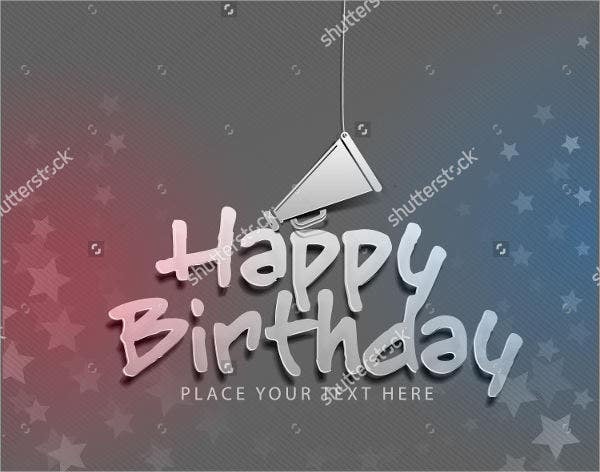 Another form of a birthday card that is widely used because of its uniqueness and efficiency is the birthday E-card. 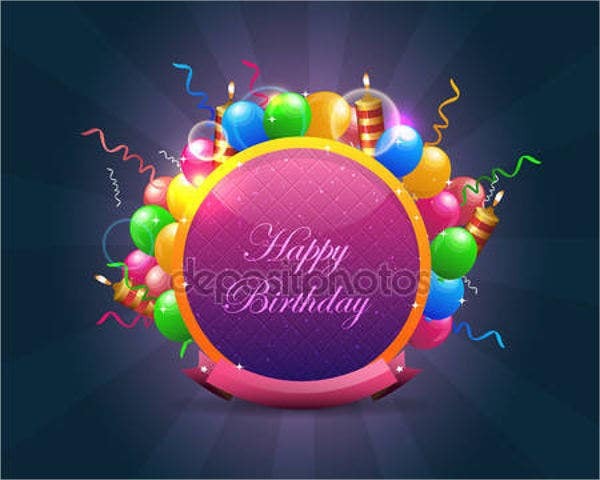 A birthday e-card is a new form of the usual birthday greeting card in this modern-day era of Internet technology. Today, they are being used as an alternative to the usual birthday greeting cards. 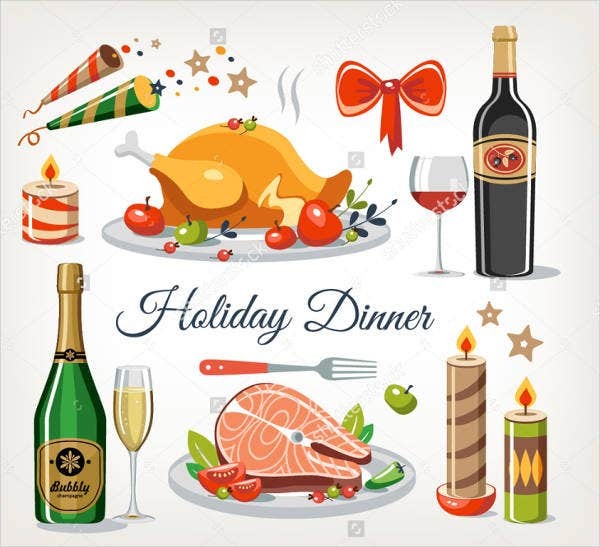 People nowadays find it more convenient and easy to send e-cards as they are also not expensive and can exchange messages or greetings in an instantaneous manner. When it comes to making a birthday or greeting cards, some people prefer a bit of humor. 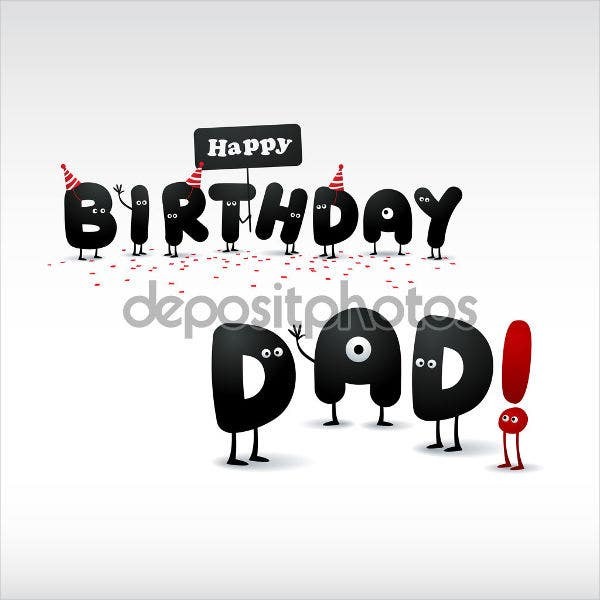 Funny Happy Birthday Card Designs are the best option of you opt for this type of design. Each contains a stunning layout that is perfect for any birthday celebration that would surely bring out a laugh or a chortle. 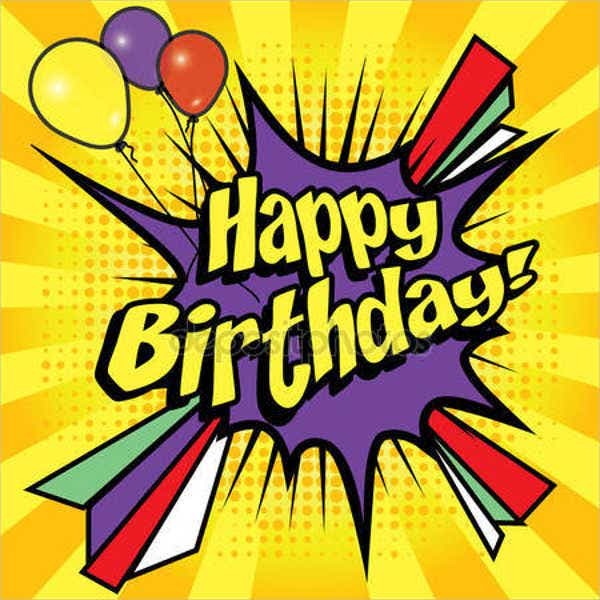 Creating Birthday Flash Cards can be done in many different ways. Some prefer the DIY style for that personalized and more creative look, and it will also enhance a person’s creativity. Some prefer a much more simple and easy way, thus templates are formed. 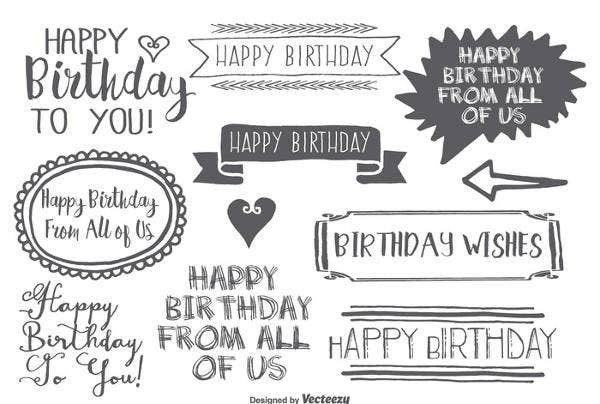 Not just that, because of technology’s advancement, birthday greeting templates can be edited in any way that you want. If you are planning to make a personalized birthday greeting card just follow the simple and easy steps below. Coloring materials such as markers, crayons, and colored pencils. 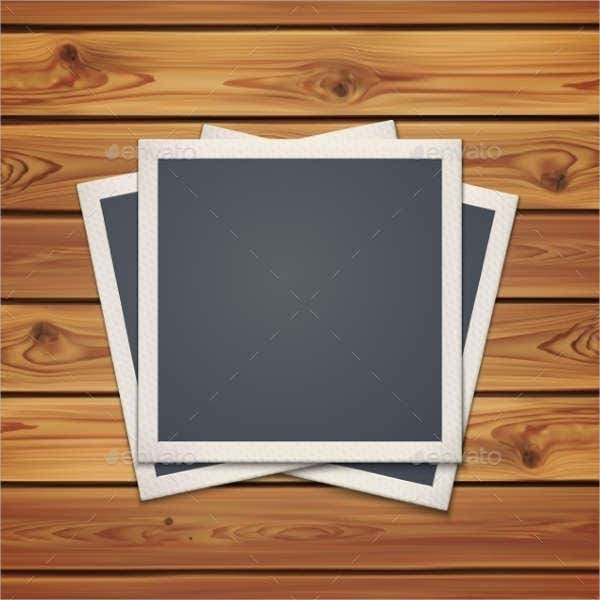 Rubber stamps or other pictures such as photographs or images in a magazine. First things first, you need to make the shape of the Birthday Greeting Card . Take a piece of construction paper and fold it into four sides. Depending on how big or small you want your card to be, you can also use a good quality cardstock in A4 size, cut it in half, and then fold it down the middle. Select a layout that you think suits best for your card. Personalize the design based on to whom you will be giving the card and make sure that all needed materials are available and within reach. Always remember that you have the front and inside of the card to decorate. Think of any quote or poem that you would like to include. If you want, you can compose an ode, just look a line from your favorite poem. Draw an image of a person, animal, or cartoon character the card receiver likes or loves. You may cut out the image and paste it on the card. 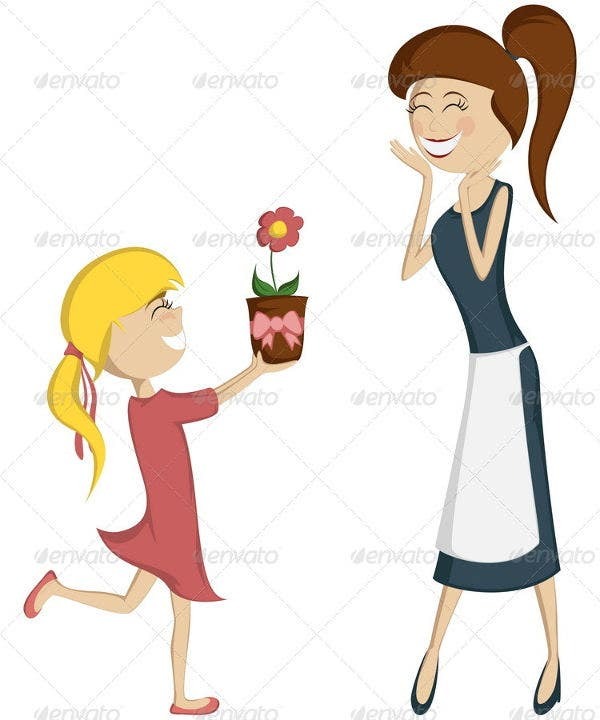 For a more personalized touch, you can include a thought or speech bubble over the image and add some funny message. 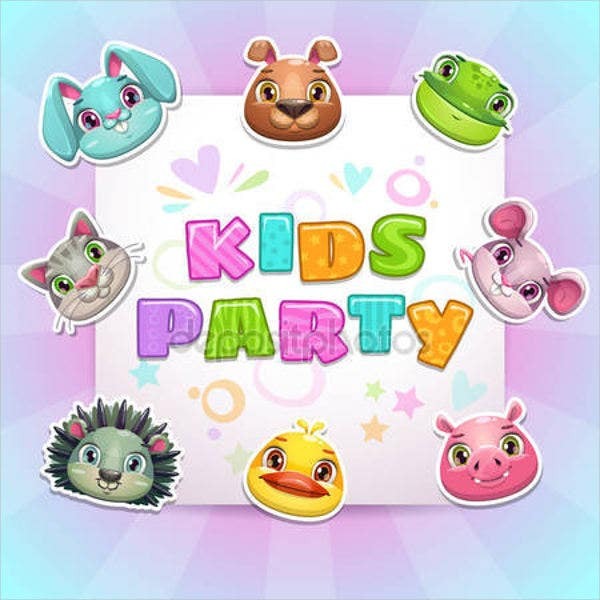 Add decorations like colorful stickers, stamps, or any related material. Associate the card’s decorative details to the receiver. Vibrant colors are vivid and fun; soft colors are sophisticated and elegant. 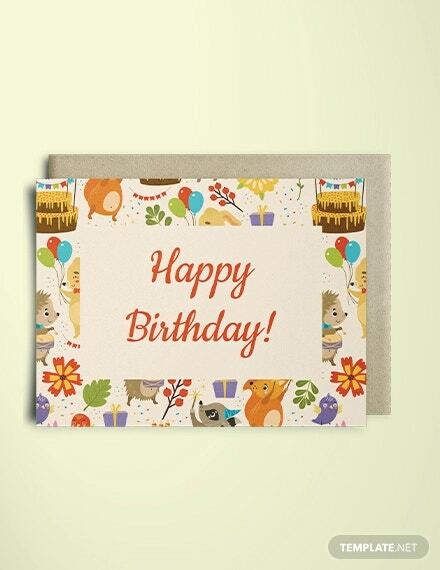 A card for a kid may be infused with charming and lively colors, stamped animals or cartoon character stickers, and playful messages. For teenagers or adults, cards may be more simple and soft-toned. 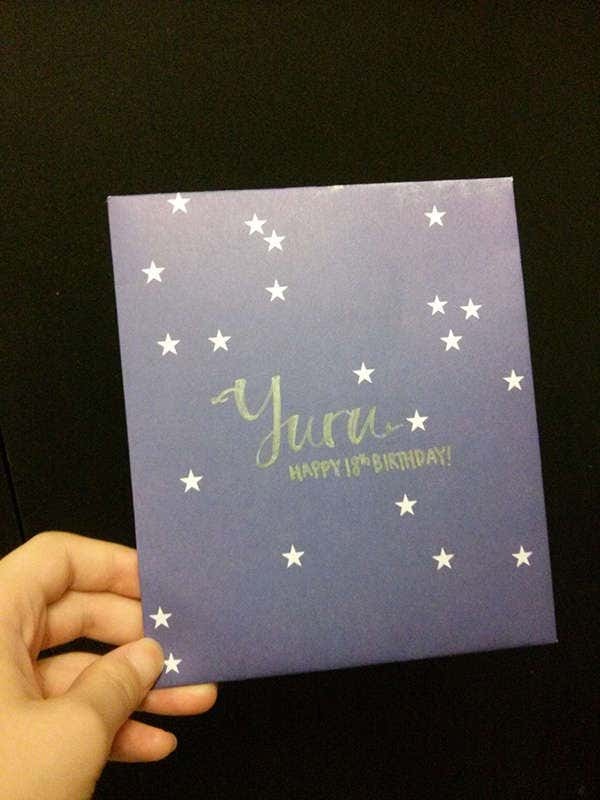 You can also use your handwriting in creating greetings such as “Happy Birthday!” on various colored paper. Cut it out and then paste it to the card. 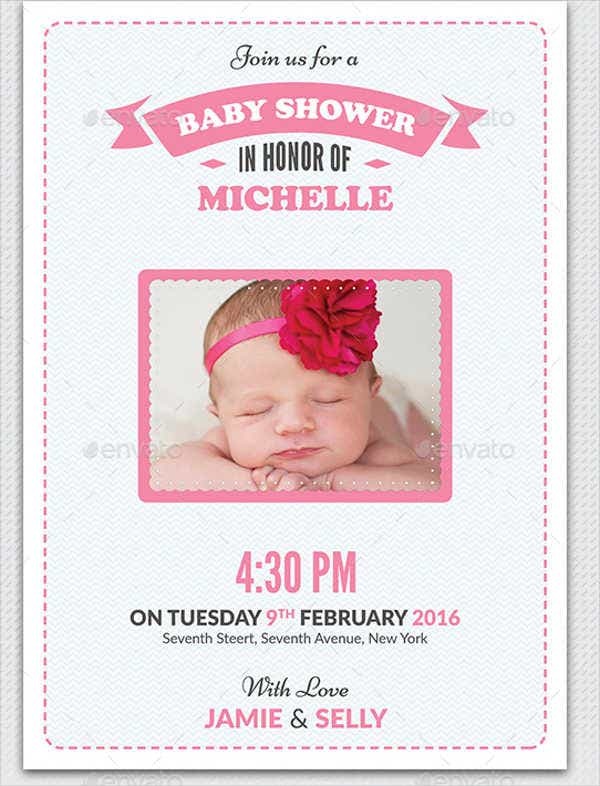 Include the receiver’s name to the card to make it more personal. Add a pop-out to the card to give it something extra. Making a basic pop-out card is actually straightforward and simple and easy to do. 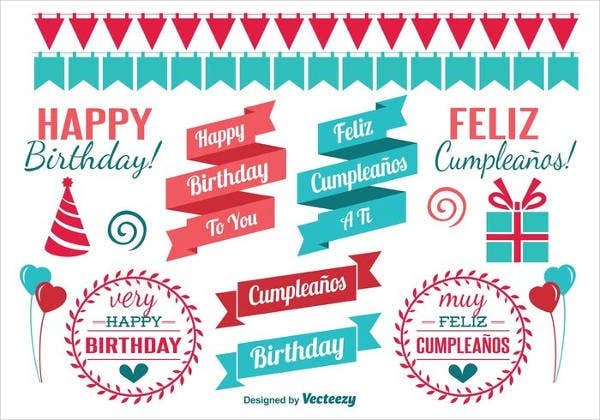 These are just the basic and simple steps when making a personalize birthday card, depending on a person’s preference, these may or may not be the only procedures. 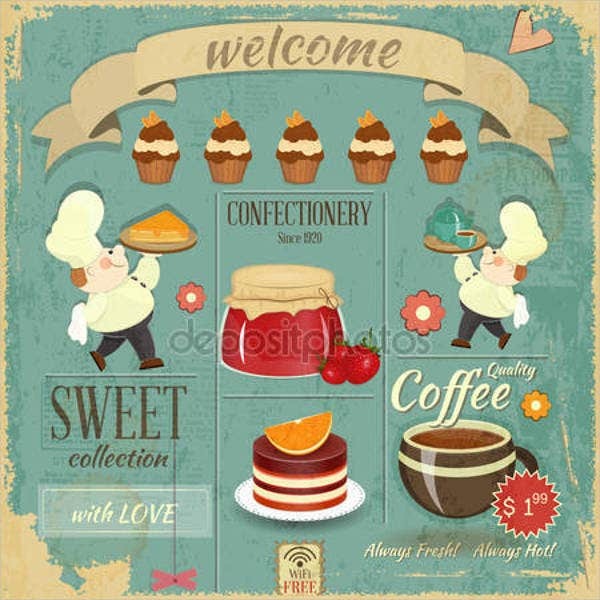 Printable Birthday Cards are also a unique and sweet style of sending a birthday greeting card. 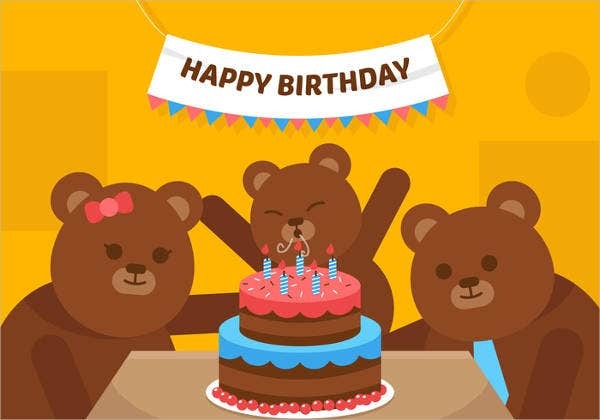 Since we are talking about birthday greeting cards, in here you will be able to see different types of birthday card examples that are widely and commonly used worldwide. A birthday card does not need to be simple and basic; add more twist to it, time to step up your usual birthday card creation. Daughter Handmade Birthday Card. 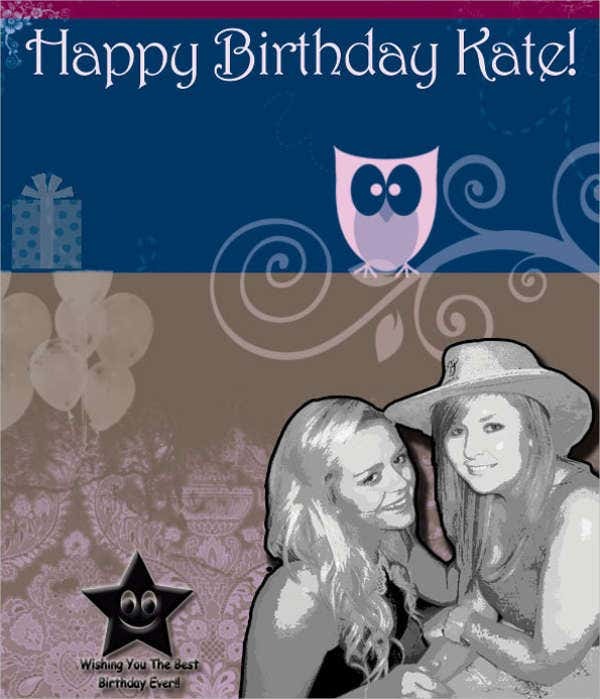 This type of card is ideal for a daughter’s birthday celebration, as the name implies. Usually, a father and/or mother will be the ones to hand this card over to their daughter, though this is not limited to parents alone. 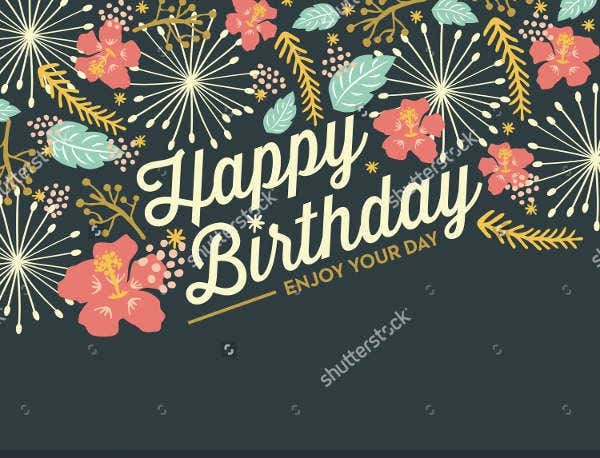 Free Abstract Birthday Card. This type of card is more unique since it does not have a concrete design to it. For a more artistic and distinct birthday card, this one is the best option. Children’s Handmade Birthday Card. 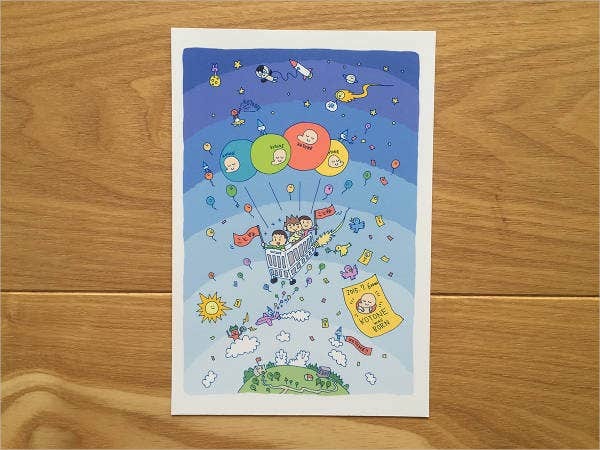 This is best if you will be giving a greeting card for a child’s birthday celebration. This contains colorful and charming designs that you and the receiver will surely love. 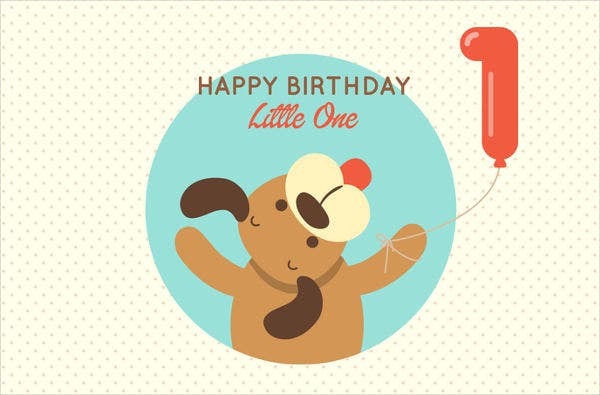 Baby Birthday Card. This is specifically for babies. 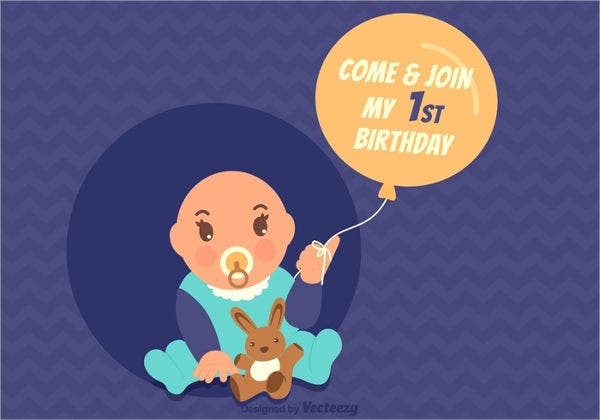 With its adorable design, surely, this will make a perfect fit for a baby’s birthday celebration. 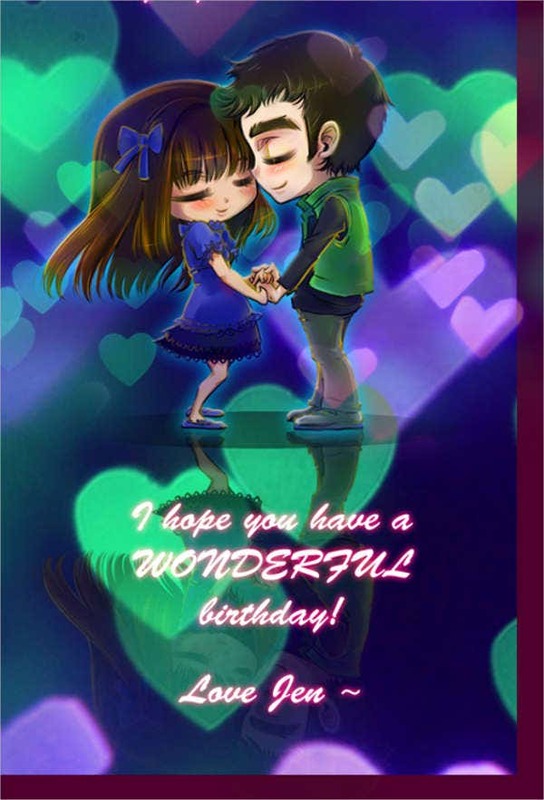 Animated Birthday Greeting Card. Apart from those mentioned previously, this one is a bit more unique because of its animated feature. Love Letter Birthday Card. This type of card is ideal if your significant other is celebrating his or her birthday. You can add a personalized message if you want to make it more special and sweet. Pop Up Birthday Card. A 3D pop-up birthday cards that are elegant and unexpected. This type of card features an intricate paper sculpture that pops out of an apparently basic card when opened. This will also give a bit of surprise to the receiver for its distinct style. Personalized Photo Birthday Card. 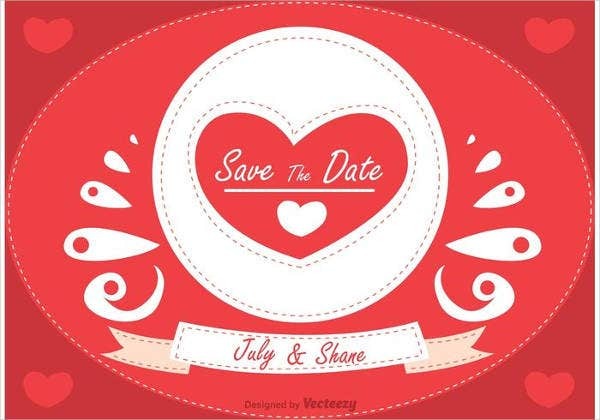 This will allow you to insert an image of the celebrant on the card for that personalized and creative look. Apart from birthday cards, there are other different types of greeting cards. Standard Greeting Cards. Printed on high-quality paper (such as cardstock) and is rectangular and folded, with a picture or decorative concept on the front. Inside is a precreated message appropriate for any occasion, along with a blank space for the sender to add a signature or handwritten message. Printable Greeting Cards. 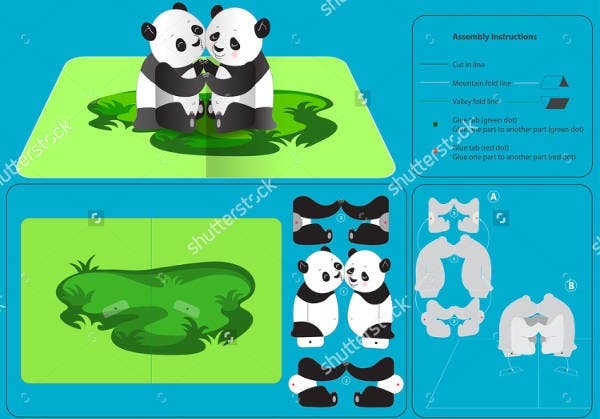 They could be considered as Electronic Greeting Cards if you’re saving printer toner, and these could can be found online. Generally available in the form of a pdf document, the design of a card can be printed out at home or at a local print shop. Printable cards are mostly created by designers and are readily readily available to customers worldwide. Personalized Greeting Cards. Websites using special form of technology that can personalized cards allow users to modify a card, which is then printed and sent directly to the receiver. Now, we know that some people prefer a ready-made birthday cards rather making one manually. 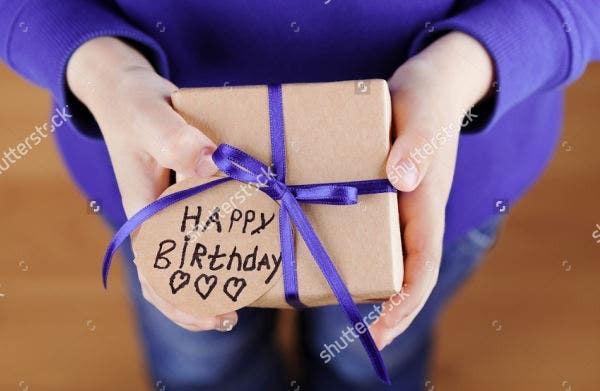 Apart from it is pretty much time consuming, there are a lot things you need to prepare in order to come up with an awesome and unique birthday card. 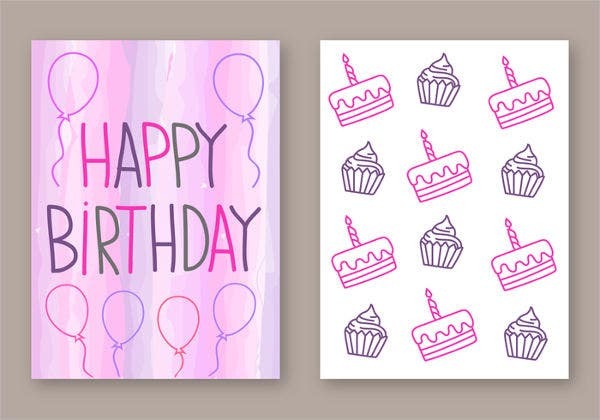 So to assist those who do not want to undergo any hassle, our various Free Birthday Cards designs are the solution. With state-of-the-art design styles, you will surely love all of them. They are prefect for the celebration. Each of these images come in a high-quality resolution for that detailed pattern. And as you can see on the list, each has beautiful and adorable designs. Not just that, they are all in an adjustable formats so you can edit them if you want. Change the color, add image, add a more meaningful message, it’s all up to you. 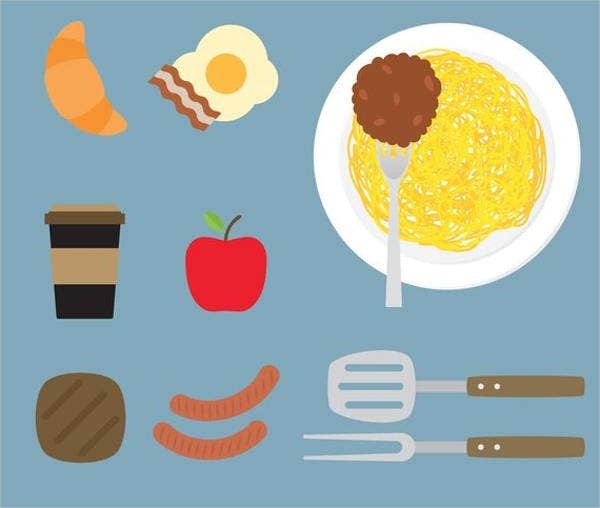 Plus, there are so many choices to choose from. If you want, you can download them all. 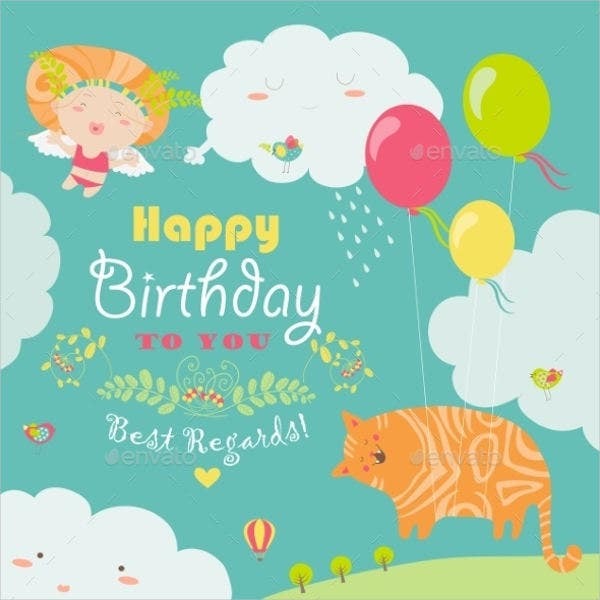 These E-mail Birthday Cards are downloadable to any device and can be printed easily. Save a copy to your file for future use. These might be the best that you can see.